A recent post regarding Diablo III has sparked a lot of controversy over the past couple of days concerning expectations that gamers should have about the pending title. 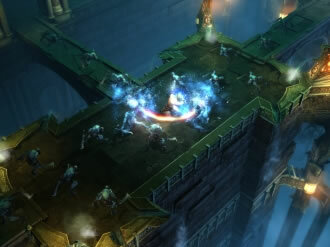 The Battle.net forum post by community manager Bashiok suggested that gamers should lower their expectations for Diablo III and even compared the title to a new M. Night Shyamalan movie. A more recent post by community manager Daxxarri (from the mouth of Diablo III game director Jay Wilson) notes that the original post was “obviously sarcastic” and the game is in great shape. The latter is certainly good news for fans of the series as the original post likely rained on the proverbial parade of many. In the follow-up message, Wilson says that we can expect a launch-date announcement in the near future and that the game is coming along great. Blizzard does in fact want gamers to have high expectations for the title and all Blizzard games which is what pushes the team to make the best gaming experience possible. Furthermore, if Diablo III wasn’t a worthy installment in the series, they wouldn’t release it. It’s unclear at this point if Bashiok’s original post was simply meant to generate media interest (which it did) as a true sarcastic piece or if he was simply sick and tired of hearing fans inquire about the game. Given the recent departure of senior producer Steve Parker and multiple last-minute changes to the game, either scenario is plausible at this point.